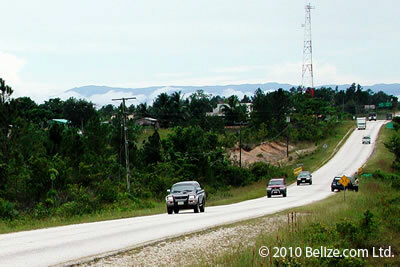 Two of the four major highways in Belize were renamed in honor of two Belizean National Heroes. The announcement was made by the Prime Minister of Belize Hon. Dean Oliver Barrow during his official Independence Day speech in Belmopan City. The two highways that were renamed were the Northern Highway and the Western Highway. In his address, PM Barrow announced that such an occasion serves as a day to reflect on the legacy of both heroes. “We just a few days ago observed the one year anniversary of Mr. Price’s death. And obviously the divine providence, in which he so wholly believed, arranged things so that, even in terms of dates, our Independence Day reflections will ever hereafter be centrally linked to the remembrances of the life and work of George Cadle Price. Today, then, we celebrate him even as we celebrate Belize. And we know that from that special place in the pantheon which he occupies together with Philip Goldson, his benediction continues to envelop us. This is thus the time to make an Independence Day announcement regarding these two, who shall always remain the brightest stars in our modern historical firmament: The Government of Belize, in conjunction with the National September Celebrations Committee, is officially renaming the Western Highway the George Price Highway; and the Northern Highway the Philip SW Goldson Highway,” said PM Barrow. The Northern Highway, which spans from Belize City to the Mexican border and passing through three districts including Orange Walk and Corozal, was renamed the Phillip SW Goldson Highway. The highway is 95 miles and was officially commissioned as the Northern Highway in 1968 when the alignment between San Hill Village in the Belize District and the Tower Hill Toll Bridge near Carmelita Village in the Orange Walk District was inaugurated. Phillip Stanley Wilberforce Goldson was a Belizean newspaper editor, activist and politician. He served in the House of Representatives of Belize as a member of the Albert Division from 1961 to 1998 and twice as a Minister. He was a founding member of the People’s United Party (PUP), National Independence Party (NIP), United Democratic Party (UDP) and National Alliance for Belizean Rights (NABR). He was bestowed in September 2008, by PM Barrow the posthumously award with the country’s highest honor given to a Belizean, the Order of National Hero. Goldson died on the 3rd of October 2001. 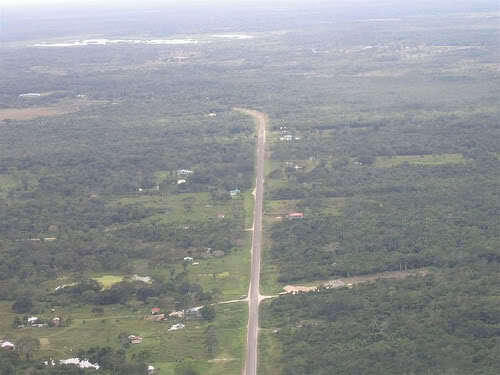 The Western Highway, which stretches for 81 miles from the Belize City to the Guatemalan border in the west, was renamed the George Price Highway. It was officially commission as the Western Highway to coincide with the inauguration of the single lane Hawksworth Bridge built in 1949. The road was later paved by sections with the last part, between San Ignacio to the western border with Guatemala completed after Independence. The Right Hon George Cadle Price was the first Prime Minister of Belize and is considered to have been one of the principal architects of the country’s independence who is now referred to as “the Father of the Nation”. On September 29, 1950, Price co-founded the People’s United Party, which he led for four decades and which was devoted to the political and economic independence of the British colony, then known as British Honduras. In September 2000, Price became the first person to receive Belize’s highest honor, the Order of National Hero, for the prominent role he played in leading his country to independence, bestowed on him by the then Prime Minister the Right Honorable Said Wilbert Musa. Price died on the 19th of September 2011 at the age of 92. The names of the Phillip SW Goldson Highway and George Price Highway came into effect on September 21st.